Artificial Grass in Monterey, California & Beyond. There are many reasons to make the switch to artificial grass in Monterey, CA. Want to save money on lawn care? Looking to install a bright green yard you can be proud of? Trying to reduce your carbon footprint? No matter what type of project you have planned if it involves artificial grass in Monterey, CA we at Watersavers Turf can help. Our turf comes in over 40 different styles. You’ll have no trouble finding the perfect style Need equipment to install or maintain it? We offer a wide catalogue of tools and accessories. If you’re a contractor interested in learning how to install artificial grass in Monterey, Monterey County CA, attend one of our free classes to get up to speed. We’re always happy to connect our turf customers with contractors who’ll install it for them. What are the benefits of fake grass in Monterey, CA? Plenty, but it all depends on how you use it. That said, saving money is one that all our customers enjoy. Lawn care is a major expense for most people. If you want your grass to look its best, you must constantly water and mow it. This costs both time and money. Major benefits of fake grass in Monterey, CA, include saving both. This type of surface requires little to no lawn care. It stays healthy without water or seeding. Because it doesn’t grow, you can finally say goodbye to all that mowing. When you’re not scrambling to take care of your lawn, it’s a lot easier to enjoy it. In fact, the benefits of fake grass in Monterey, CA can even impact your neighbors. The more water you conserve, the more there is for the community. With this type of lawn, you’ll save approx. 30,000 gallons each year. Thanks to lower bills, you might even save $2,000 annually. Learn more with our Annual Cost Savings Chart. You’ll clearly see why switching to this type of lawn is a smart investment. Watersavers Turf is certified non-toxic, lead-free, and resistant to both fire and UV rays. Our sports turf meet FIFA standards, and none of the turfs we sell contain any crumb rubber infill. Visit our website for more info about our artificial grass testing process. 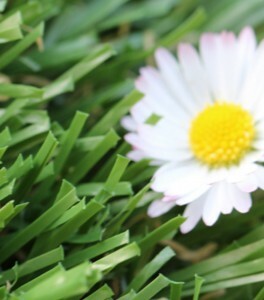 To encourage lawn replacement in Monterey, CA, we offer many benefits. We’re even the only supplier in the region with an 18-year residential use warranty (10-year commercial use) offer. Our customers are both property owners and contractors. As synthetic turf has grown in popularity, there’s been more and more demand for lawn replacement experts. Contractors in the area stand to make a lot of money by getting in on this market before others. To help you do that, we host free classes where you can learn the essentials of replacing lawns. See our schedule and find a session you can attend. For property owners, we offer all the products you’ll need to get the most out of your synthetic turf. Of course, it’s not always easy to choose a style of fake grass when you have scores of options. You need a chance to see and feel how a style will look around your home or office before choosing one for your lawn replacement. Knowing this, we gladly provide free large 1’ x 1’ samples. The staff at all our SF Bay Area locations will be happy to answer any questions you may have about them. Don’t worry if you’re not planning to be in our area. As long as you’re based in the Continental U.S., we’ll ship straight to you. Mention that you’re a contractor, and we’ll ship our samples free of charge. Replacing a lawn is just one way to use our products. People from all over the world have come up with smart, unique projects you may want to try. Some transform their backyards into mini golf courses. Others turn decks and patios into calming lounge areas. Read our blogs and newsletters to learn all about them. Wonder how much this type of project will cost? Our pricing is highly competitive. Visit our website for a free estimate, or call 844-974-8873. Again, the uses for residential artificial grass and commercial synthetic grass go beyond simply swapping out your grass lawn for a fake one. While doing so will save you money, that’s far from the only benefit our products offer. If you have kids in the family, we offer cushions you can install beneath the turf. This makes it easy to build a safe play area for your children. Is your inner landscape design artist waiting to come out? Maintaining a gorgeous grass lawn can be a struggle. All that constant upkeep is a hassle. Rain can make your grass sloppy. Drought can turn it brown and unsightly. 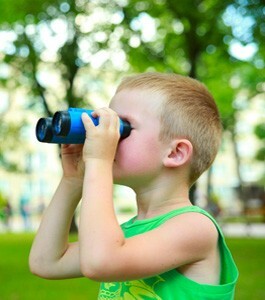 You may have a vision for your dream lawn, but that doesn’t mean it’s easy to realize that vision. That is unless you switch to fake turf. Unlike real grass, it always looks perfectly green and neat. With our products, you’ll create the backyard of your dreams. For homeowners, curb appeal is about pride. For business owners, it plays a vital role in your success. The way your property looks affects how guests react to it. If your lawn is messy or unkempt, they might pass by. 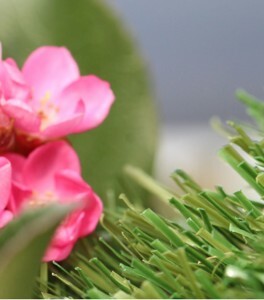 Install a fake lawn to attract guests and reduce upkeep costs. At cafes and hotels, fake grass makes a great surface for a dining area or outdoor bar. Outdoor music venue owners use it to offer guests comfortable lawn seating. If you run an office, you could install an outdoor break area for your staff. They’ll enjoy relaxing in it, making them more productive as a result. Clients will also be impressed with the fresh, vibrant look of your property. Whether you own a home or business, you want your lawn to look its best. With our products, you can finally achieve that goal. The list of uses for artificial sports turf and pet grass is at least as long as the one for residential and commercial turf. 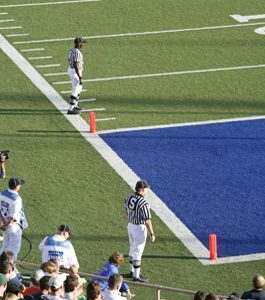 Sports turf is a much better option than grass for an athletic field. Players need an even, dry surface for their matches. If it’s wet or rough, they’re more likely to get injured from falling. Sadly, real grass fields get very messy when it rains. Rough gameplay damages them, resulting in the need for constant repairs. Synthetic turf is different. It remains in good condition regardless of the weather. Unlike a grass field, sports turf can take a beating. It keeps players safe, prevents game cancellations, and reduces maintenance costs. Because of this, it’s very popular for budget-strapped school districts. Pet grass is a style designed for dog owners who want their pets to enjoy an active lifestyle. Letting your dog run around the lawn from time to time is a smart idea. They need the exercise to stay healthy. Of course, you probably know that all that activity can damage your lawn. You also probably know that dogs frequently bring dirt, mud, and debris back inside with them after playing. With our pet grass, you can add a dog run that’s safe and clean. Making the switch will please you, and it will please your pet. Know anyone who runs a kennel? Let them know how our products can help grow their business. By putting in a dog run, they’ll attract more clients. Watersavers Turf makes it easy to find turf tools and turf accessories in Monterey, CA. With our EasySeam machine, you can quickly bind turf sections, and there’s no glue required. This is very useful for contractors. By completing projects faster, you’ll be able to take on, even more, jobs in the future. With our boxwood panels, you can install some extra greenery around your lawn. Need golf flags for a putting green? We have those too. Our full catalogue is essentially a one-stop-shop for any synthetic turf project. How do you like to spend your free time? 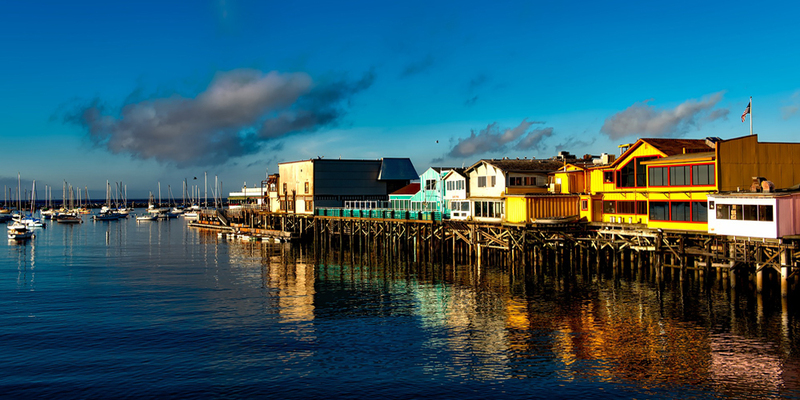 No matter how you answered, you’ll find things to do in Monterey, California. Stop by the El Estero Park Complex to catch a game at Frank E. Sollecito Ballpark. The city recently chose to install sports turf, making the field an ideal spot for matches. 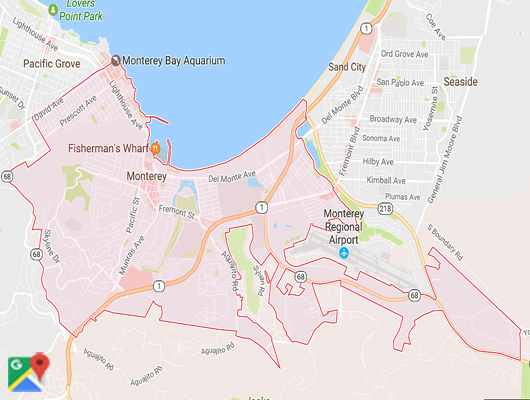 If you’re looking for things to do in Monterey, California with kids, the famed Dennis the Menace Playground is right next door. Or you could make your way to Fisherman’s Wharf. This historic district has been transformed into a gorgeous outdoor shopping area. Listing all the things to do in Monterey, California is like listing all the benefits of fake turf—there are simply too many to name. During your visit, make your way to the closest Watersavers Turf location. Be sure to ask about our free samples. We also have free delivery offers and free estimates. If you don’t expect to be in our part of the state soon, you can still benefit from our services. Contact us online, or call 844-974-8873. We’ll help turn your artificial turf plans into a reality.